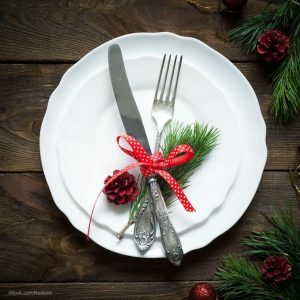 The holidays are a special time for foodies. Wonderful meals and special recipes are prepared, and many people host large gatherings. Do you know how to keep these celebrations safe? The USDA Meat and Poultry Hotline has paired with USA.gov to offer lots of food safety kits and publications to help you keep your meals safe and wholesome. You can order these kits free of charge, or read all of them online with Adobe. The kits include information on roasting a turkey safely, how to make stuffing safe, special handling instructions for turducken and other holiday meats, and ham and food safety. My personal favorite is the Kitchen Companion, the safe food handbook. In it, pathogenic bacteria and methods of transmission are discussed, and tips for food preparation, shopping, food storage, cooking methods, and serving tips are highlighted. Special guidelines for high risk foods, such as ground meat, roasts, and eggs, are given. I also like the “Is it Done Yet?” magnet. Information about safe final internal temperatures is printed on a card you can attach to your fridge, so you always have that information on hand. And remember that help is just a phone call away. The USDA Meat and Poultry Hotline at 1-888-674-6854 is available Monday through Friday from 10:00 am to 4:00 pm ET to help with holiday food questions. And AskKaren.gov is a 24/7 service with answers to questions.